Born and raised in Brooklyn Guy Zoda has been a professional entertainer since 1989 specializing in family entertainment, business promotion and marketing. Guy has been awarded United States Congressional Citations, multiple New York City Council Proclamations and Citations, New York State Assembly Citations, awards from the United States Army, and has been honored by the NYPD for long standing service to the Brooklyn community. 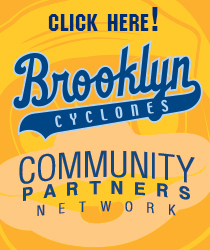 Guy is also a proud member of the Bensonhurst-Bay Ridge Kiwanis Club of Brooklyn. 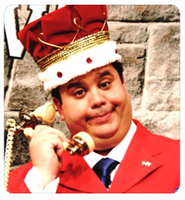 Guys character King Henry is one of the top requested childrens performers in the New York area preforming his comedy magic shows at Luna Park on Coney Island, Victorian Gardens in New York City, and Radio Disney promotional events just to name a few. The King has been a staple at the ballpark preforming at the games since 2003 bringing his fun family way of entertaining to the young and old. FAVORITE ALL-TIME PLAYER: Lyman Wesley Bostock, Jr.